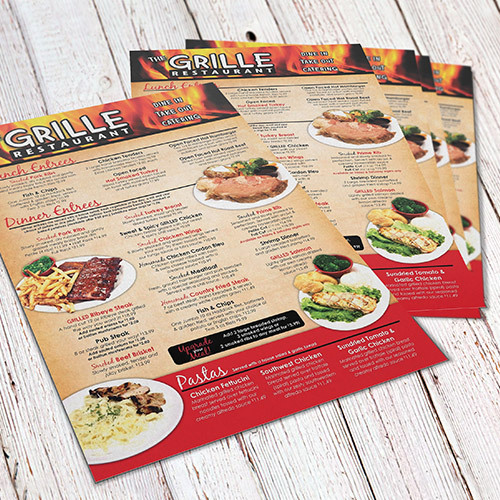 Does your restaurant need a new menu, or have you recently opened a new steakhouse? 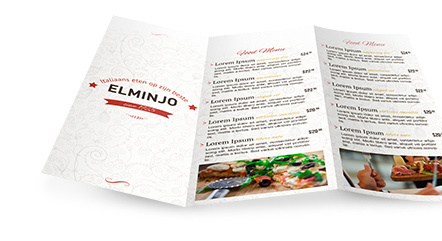 We appreciate that your menu acts as your business card to potential customers and therefore should have a professional look. At Helloprint we only print on the highest quality paper. 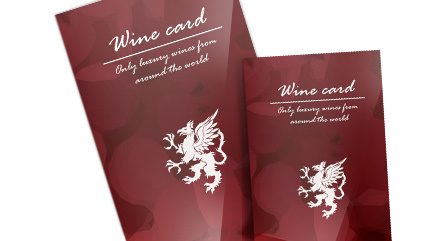 Now that you're at it, get your menu card holders from Helloprint too. Looking for an unique design? 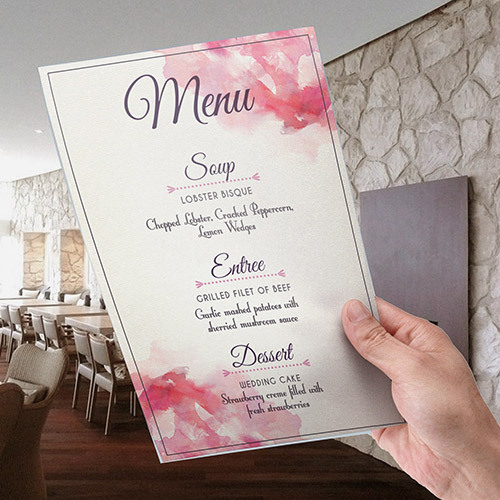 At Helloprint, you can design your menucards online or contact our Helloprint studio team. 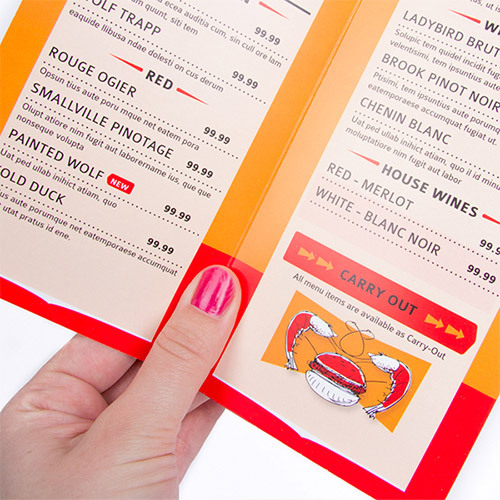 These menu cards printed on 400gsm paper are beautiful to look at. The matt finish creates the luxurious look your restaurant deserves. 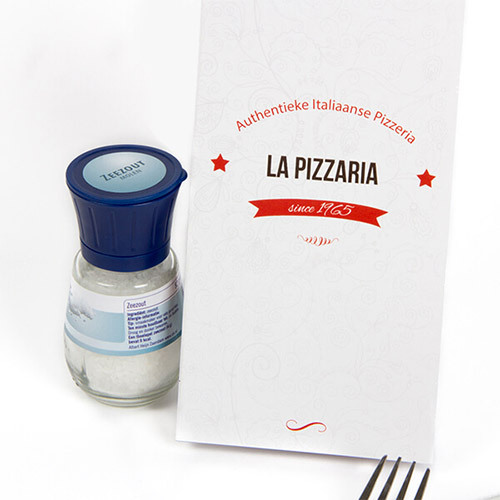 Looking for a glossy menu to display your dishes in style? 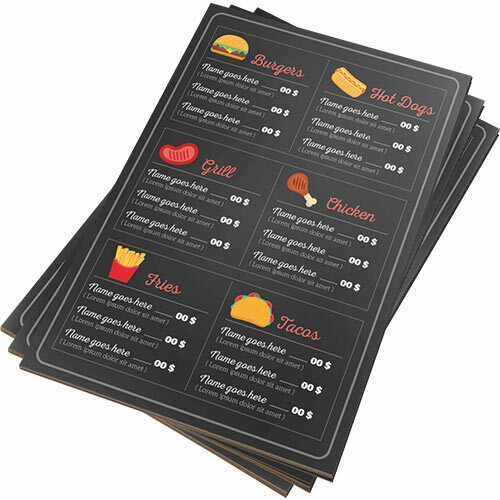 These menu cards on 400gsm paper are a beautiful addition to the tables in your restaurant. 10 15 20 25 30 35 40 45 Recommended 50 Not sure about the quantity? This is the most chosen amount for businesses.